A new trendy Cheese beverage has landed in Sunway Pyramid! 'Chizu' is defined as cheese in Japanese. Chizu brings you a brand new drink - coffee and tea specially crafted with cheese, creating a new Japanese cheese drink, enabling a fashionable taste of lifestyle. Cheese is normally found in cakes and pizza, we all love it in our food. 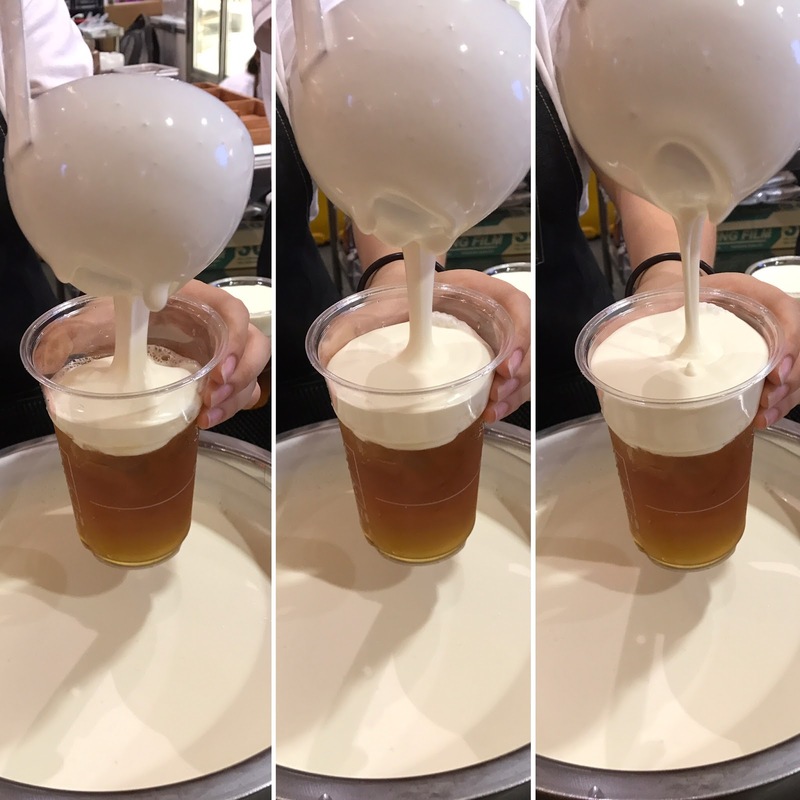 So the idea to create drinks with cheese was manifested where Chizu matched different coffee and tea roast to create an unique taste. Therefore, Chizu was formed. "Chizu" is made fresh daily using an all natural Japanese cheese combined with various coffee or tea to create an original Japanese cheese drink. As you can see, the drink combines a good amount of foam (cheesy foam) on top of the refreshing beverage itself. This light yet airy foam gives the drink a savoury edge, which helps tone down any sweetness from the drink while providing it with fragrance as well. Matching different coffee and tea roast with cheese to create an unique taste. Their drinks are made fresh daily using all natural Japanese cheese combined with various coffee or tea to create an original Japanese cheese drinks. To know more about Chizu, please visit Chizu at Sunway Pyramid and experienced the unique Japanese cheese beverage.